UNK has three Greek governing bodies that oversee the operations, conduct, and programming aspects of fraternity and sorority life; the Office of Fraternity and Sorority Life advises the three governing councils. The Panhellenic Council governs four NPC Greek sororities which are members of the National Panhellenic Conference. These organizations include: Alpha Omicron Pi, Alpha Phi, Alpha Xi Delta, and Gamma Phi Beta. The Interfraternity Council supervises six Interfraternal Greek fraternities which are members of the North-American Interfraternity Conference. IFC leads, and is composed of, the following chapters: Phi Delta Theta, Phi Gamma Delta, Pi Kappa Alpha, Sigma Tau Gamma, Delta Tau Delta, and Sigma Phi Epsilon. In addition, the Multicultural Greek Council oversees three multicultural organizations, specifically two sororities and one fraternity. They include: Lambda Theta Nu, Sigma Lambda Beta, and Sigma Lambda Gamma. 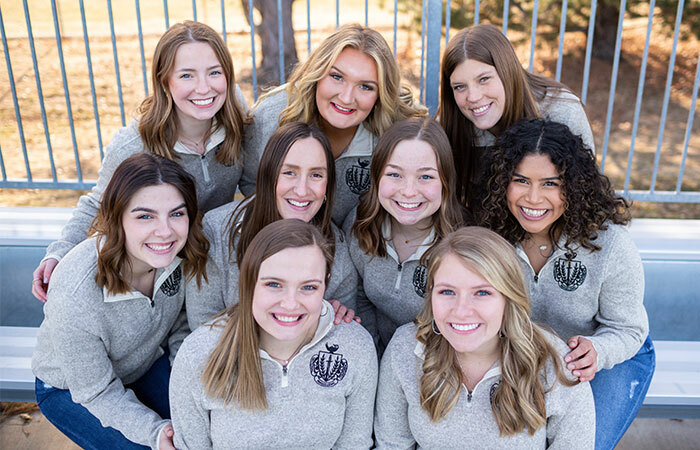 The Panhellenic Council (NPC) is an entity established to govern, guide, and address the fundamental and long-term needs of the four NPC Greek sororities at the University of Nebraska at Kearney. It is a body comprised of two delegates from every sorority and eight executive board members. The purpose and responsibility of the executive board is to govern, educate, and promote a true sense of community between the four sororities. The Panhellenic Council also exists to promote the values of and to serve as an advocate for its member groups in collaboration with those members, campuses, and communities. For additional information contact, Sarah Petersen, Council President, via email at petersensn@lopers.unk.edu. The Interfraternity Council (IFC) is an entity established to govern, guide, and address the fundamental and long-term needs of the six Greek social fraternities at the University of Nebraska at Kearney. It is a body comprised of two delegates from every fraternity and eight executive board members. The purpose and responsibility of the executive board is to govern, educate, and promote a true sense of community between each of the fraternities. The Multicultural Greek Council (MGC) at the University of Nebraska at Kearney is the governing body of three multicultural Greek organizations: one fraternity and two sororities. The mission of the MGC is to provide a forum that allows for the exchange of ideas, programs, and services between its member fraternities and sororities; to promote the awareness of multicultural diversity at the University of Nebraska at Kearney, the surrounding community, and to support the works of its member organizations. For additional information, contact Gabriela Lopez, Multicultural Greek Council President, via email at: lopezg2@lopers.unk.edu.